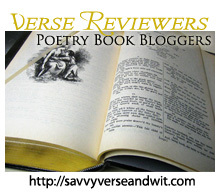 Welcome to the 101st Virtual Poetry Circle! little girl toys under my daughter’s bed. the red a slicked on waxy lipstick. she would have been afraid. The Decadent Lovely, which I reviewed and is published by Main Street Rag, is a collection that strives to uncover the love beneath the grime, and Amy Pence‘s style ranges from the straight narrative to the more abstract. If you missed part one of my interview with her, please head on over to learn more about her, the collection, and her obsessions. Without further ado, we’ll take a look at her thoughts on writing, poetry’s accessibility, and more. Poetry is powerful in various ways and there’s a flavor for everyone, thankfully. For me, it’s the difference between poetry as a public performance with a strong social message and poetry as a private experience with the page about the interior event. I am personally most moved by the poem as artifact, as an involution of word, form, and sound. That was my first experience with poetry and the kind of poetry I am moved to write. I like familiarizing my students with poets and performance artists like Daniel Beaty and Patricia Smith to show and celebrate their successes, but the challenge as a teacher these days is to show that an Emily Dickinson poem (for instance) is not precious or flowery—it is a complex sonic creation that briefly but deeply can show us what it is to be human. I don’t think we have an obligation to dispel it (and it’s not always a myth). As I said, I like to bring my younger students into the world of poetry’s richness that they may have thought of as stuffy or inaccessible. Last night in class we lingered over Wallace Stevens’s “Thirteen Ways of Looking at Blackbird,” putting meaning aside to revel in the language and the modernist disjunctions. I don’t know if I inspired much rigorous thinking, but I try to do my small part in encouraging art appreciation as a value. It’s unfortunate that the word “elitist” has obscured what art can enact in the human. I mentioned leading a workshop, and beginning about a decade ago, I’ve met with a small group off and on in Atlanta (hats off to Kiki, Gelia, Marianne, Sam, Sandi & Sunny). I like to set up themes and then we read relevant texts, write in-class, and workshop their poems. They know that they are teaching me as much as I “teach” them, yet they have the grace and generosity to pay me (hardly seems right). Two stellar writing books I return to again and again: Jane Hirshfield’s Nine Gates: Entering the Mind of Poetry and Writing Poetry: Creative and Critical Approaches by Chad Davidson and Gregory Fraser (amazing poets and generous friends who teach here in Carrollton at the University of West Georgia). I have two very close friends from graduate school (fiction writer Sue Stauffacher and poet Val Martinez) who are writers and I know—even with our ups and downs—we will always be friends. And I’ve met so many wonderful writers at conferences, writing residencies and here in Carrollton. But it’s not a prerequisite, and the writers that I know typically don’t “talk” writing. I have to say I like Facebook for the way I’ve reconnected with friends from my MFA program in graduate school (University of Arizona) and to see what a vast network of poets are posting (but then, it’s very distracting). Their little obsessions and conundrums sometimes crop up, and I find that interesting. I admire so many writers and enjoyed interviewing Barbara Kingsolver, Li-Young Lee, and Paul Guest (published in past issues of Poets & Writers). I hope to do more because I learn so much from the process. I’m extremely lucky to have my ideal writing space that I couldn’t have dreamed of a decade ago. But I dreamed it, and my husband sacrificed some beloved trees so we could add my writing space to his house when we married. I write in front of a large window that overlooks a hard wood forest of thousands of acres of rolling hills and creeks. I have a courtyard planted with my favorite flora (the fauna are the 2 dogs, 3 cats, and a dwarf bunny) in all seasons. My writing studio has windows on all four walls. Needless to say, I’d just sit here and write or just gaze into the distance if I could. But there’s that thing called a paycheck to pay for this fine mess. That Emily Dickinson novel, as mentioned earlier. It may take a lifetime. I’m not sure whose. Thanks, Amy, for answering my questions. To Enter, comment on this post with either a question for Amy or something you enjoyed about the interview. For a second entry, spread the word about the interview on Twitter, your blog, and Facebook, and leave a link in the comments. For a third chance to win, enter on yesterday’s interview. Like the pleasant and the darker aspects of the family, Pence juxtaposes the landscape of New Orleans to that of Las Vegas, with the darker elements of family life up in neon lights. But there is darkness in New Orleans, a past that cannot be escaped and a past that can be touched only through the voodoo of memory and self-assessment. In “The Waiting Room” (page 40), “Maybe/she’ll talk of a version of her self/decades before the cancer: the Rose Bowl court in the 50s/or her years in New Orleans, to relate, she’d say/to the woman waiting. In that/hazy B&W film, my mother/was one of the Golddust Twins,/the flashier one, running headlong out of Ohio, constantly/misunderstood by husbands, children, lovers./Maybe the black woman would begin/to resent my mother as most did, would/see her as merely another shipwreck in Vegas,/unmade by her own addictions. . . . ” Readers will find the new perspective on these mundane scenes fresh and captivating, as the narrator reveals the truth behind the surface interactions of women in a waiting room. Pence has a number of these moments in her poems. However, there are poems that will require more time, reading them several times and greater reflection for each image and line — a process that could bog down some new readers of poetry. That being said, the collection is worth the effort. one, the lock in the door, a figment well-oiled. window across which I rub my wrist. finds the mouth, fills the face, enters in. Sometimes cryptic, sometimes plain spoken, Pence crafts an inside look at family (those are her parents on the cover) and the happy dysfunction that can occur and often does. Beyond that, she draws parallels between that dysfunction and the human condition, which we often attempt to control and fail to control. The Decadent Lovely is a self indulgence worth wallowing in, if not to examine one’s own life but to understand that humans tend to be self-indulgent even though they espouse the shedding of ego. This is my 15th book for the Fearless Poetry Exploration Reading Challenge. This is my 23rd book for the 2011 New Authors Reading Challenge.